couple that are still to come. energy generated from a “green” source. the first product sold by the Aircar company is actually an electric scooter. because no-one has published the specifications of any modern prototypes. over batteries: longer life, cheaper construction, and fewer nasty chemicals. carrier, with a whole bunch of practical defects. 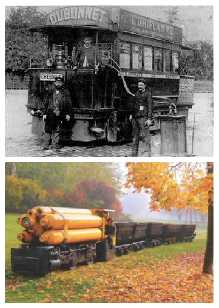 Bottom: A compressed-air locomotive; weight 9.2 t, pressure 175 bar, power 26 kW; photo courtesy of Rüdiger Fach, Rolf-Dieter Reichert, and Frankfurter Feldbahnmuseum. Figure 20.25. 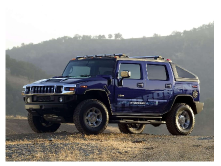 The Hummer H2H: embracing the green revolution, the American way. Photo courtesy of General Motors.